The Gaza war and the recent Israeli elections have shown the continuing intractable nature of the Arab-Israeli conflict and the challenges that face the new Obama administration in the search for peace in the Middle East. 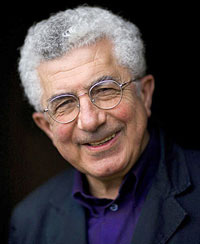 Avi Shlaim is Professor of International Relations at Oxford. He has written extensively on the Arab-Israeli conflict and is a frequent contributor to the newspapers as well as commentating on radio and television on Middle Eastern affairs. He will discuss the history of the Arab-Israeli conflict as the background to an understanding of the current situation in the Middle East.